Impassive and serene, the faces peer out of their rectangular frames. 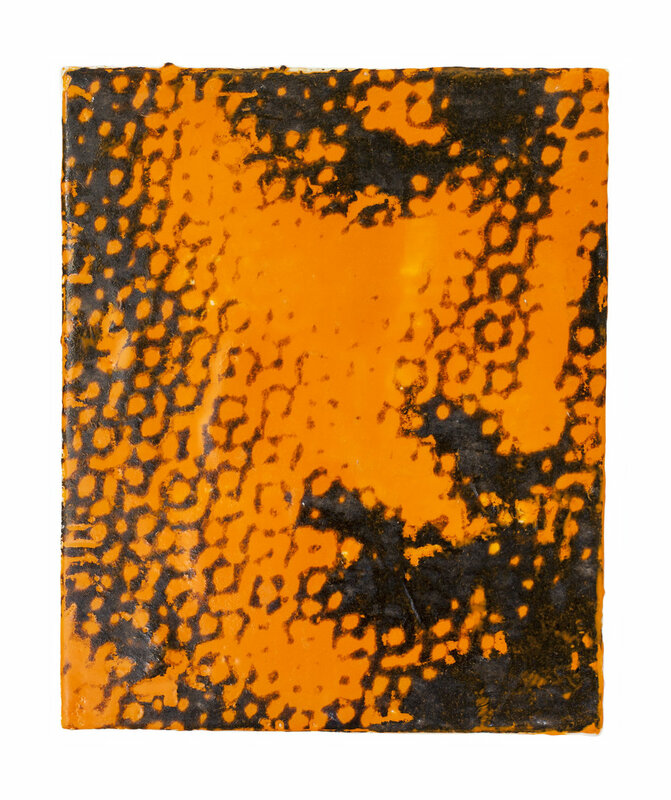 Speckled with carbon, almost all are images of the Madonna, zoomed in to an extreme close-up. Arvilla remembers his grandmother, his beloved abuela, through this series as each of the Madonnas graced a prayer card owned by her. Culminating the series of faces is Mi Abuela, Arvilla’s grandmother, photographed in her youth, looking out with a direct gaze. Like Mother Teresa, shown beside her, Arvilla’s grandmother was a real woman, devoted to her faith. 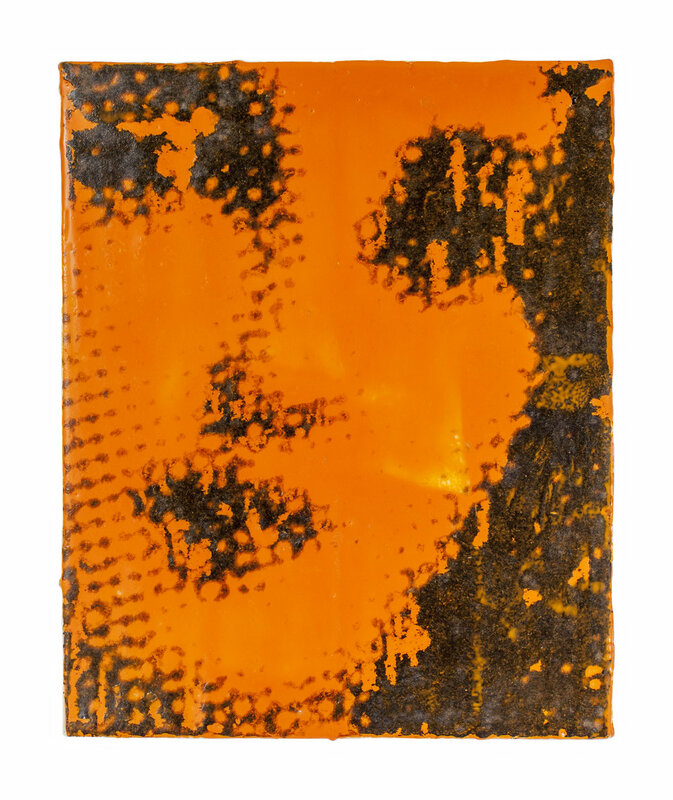 Arvilla has experimented with the encaustic medium to embed these images in the wax. 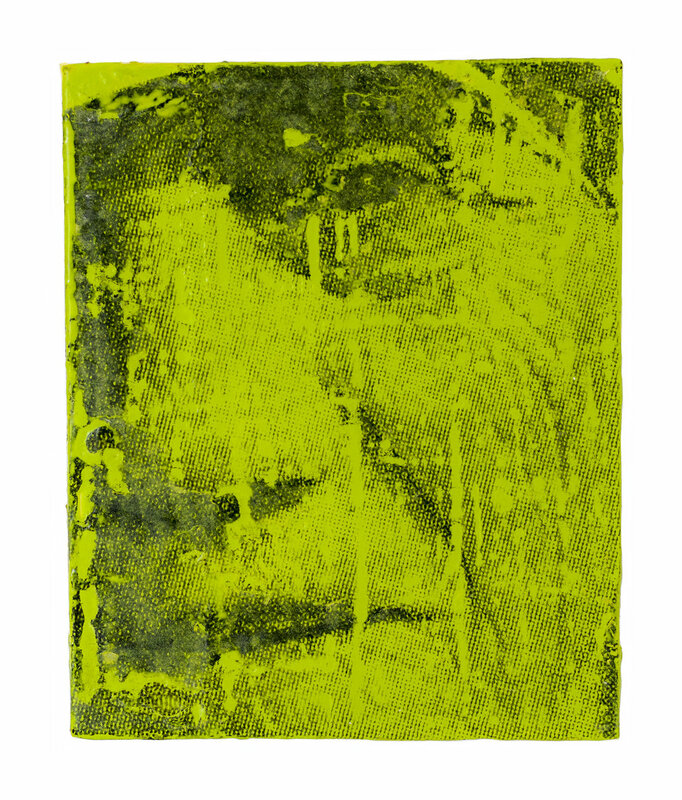 The artist repeatedly photocopied each image, printing over the reproductions again and again to build up thick tracks of carbon. 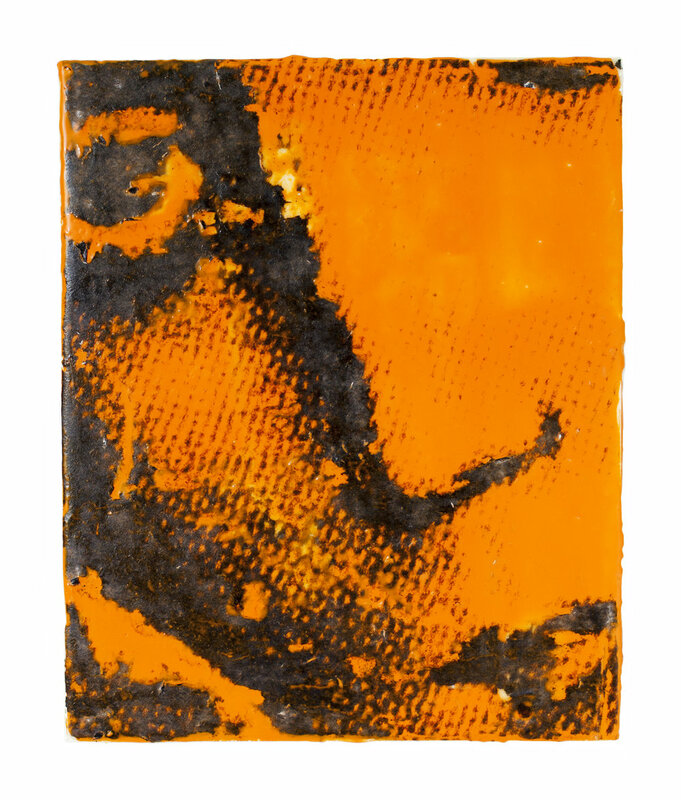 By applying the printed sheets to areas of hot wax and then scraping away the cooled pages, Arvilla transferred the image to the wax surface, printing the wax with carbon.